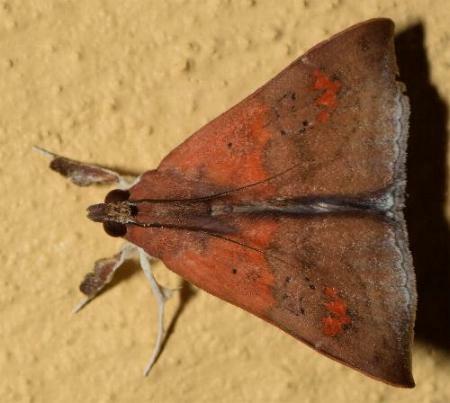 The adult of this species has forewings that each have an orange basal half, and a brown marginal half fading to white at the margins, which includes a red trident mark. 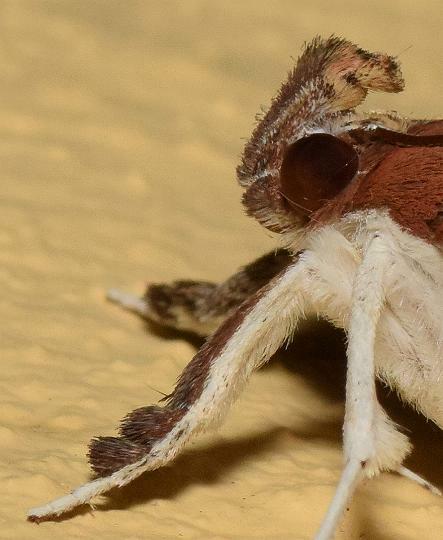 The forewings each have a slightly hooked wingtip. 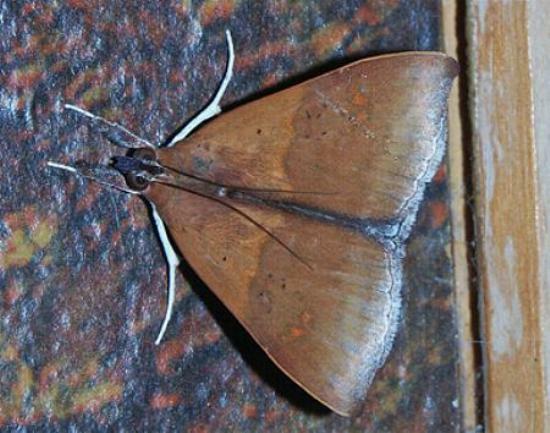 Each hindwing is black at the margin fading to brown at the base, with a pale bar across the middle. The legs are white. The wingspan is about 4 cms. 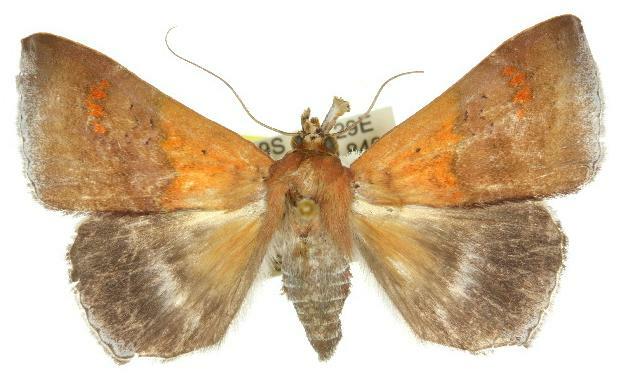 The moth has unusual hairy flaps on its forelegs and its labial palps. Series 2, Volume 8 (1894), pp. 152-153. LeapFrogOz, Kuranda, 2015, p. 152.